These days, 70-year-old FAR Vanadzor Old Age Home (VOAH) resident Rita Dallakyan is known as “Lightning Lady”. 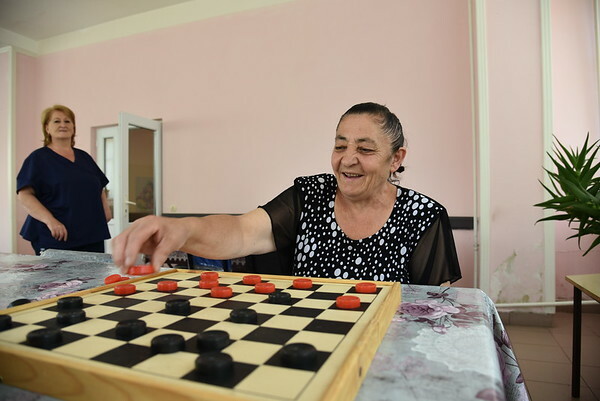 In early September, she took second place in checkers at Armenia’s National Sports Tournament for the Elderly, held by the Ministry of Social Affairs. Just before that she placed first for the Lori Region in the first round of the tournament. Rita has participated and won prizes in checkers competitions since she was in school. “One day, Manush Ohanyan [VOAH’s Managing Director] asked if I would go to the checkers competition and I said, ‘yes.’ How could not I go? She earned her nickname due to her agility, said Rita. “Whatever I do, I do it quickly,” she said with a proud smile.